Just as one might expect in the days leading up to and following All Souls Day, I’ve noticed any number of articles from Catholic sources discussing the purpose of the Requiem Mass. We have come to believe as the Protestants do, that “once saved, always saved” and that all who declare Christ their Lord will go straight to Heaven upon death. But this has never been what the Church teaches and it is not true. Nothing but perfection may enter Heaven, and none of us is perfect. We need the purging, the cleansing of our souls, before we can enter the Perpetual Light. Properly speaking, a Funeral Mass is not supposed to be a canonization, wherein we presume the deceased individual is in heaven. Rather a Funeral Mass is more traditionally a Requiem Mass, because we’re supposed to be praying for God’s mercy, and for our loved one’s rest and peace. How tragic that the poor souls in Purgatory are left with no one to pray for them because we presume they are already in Heaven. Non-Catholic funerals are all about “saying some words over the deceased.” Consequently, there can sometimes be two sermons and even a couple of eulogies (which can be embarrassing to endure). The “words” are unscripted and can sometimes sound more like a speech at a retirement party. At other times, these “words” are a kind of canonization of the deceased, for everyone is presuming that their loved one is already a saint singing with the angels … But by contrast, the Catholic Funeral is not about these sentimental innovations, but rather it is about ritual – ritual that has evolved for two thousand years, and ritual that prescribes constituent parts that make it recognizable as a Catholic Requiem Mass. 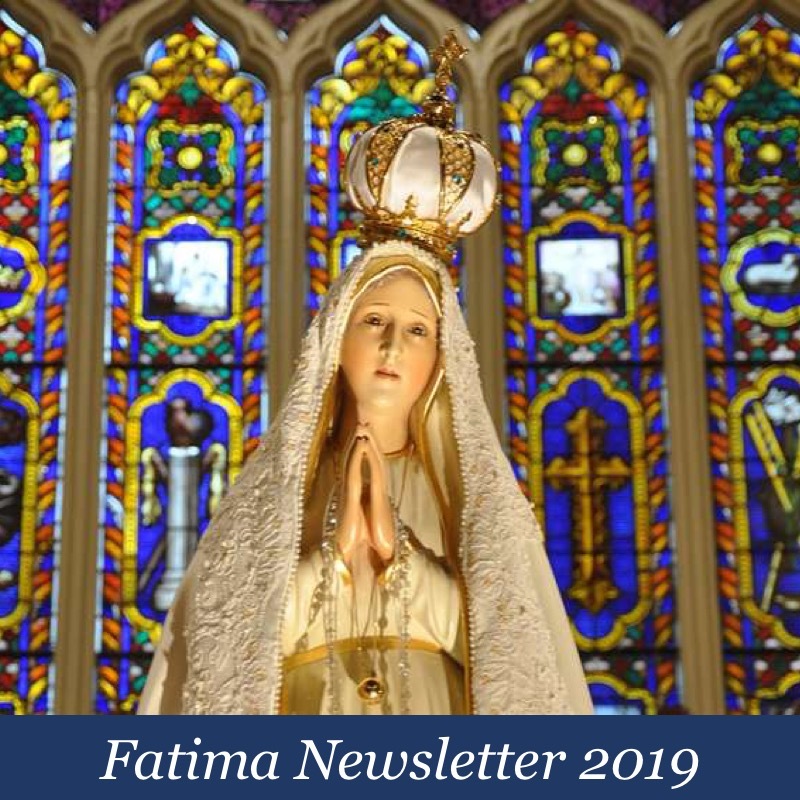 Having read these excerpts, it would be understandable if one were to assume that Our Lady of the Mountains is perhaps an SSPX chapel, or maybe a community that in some way or another is devoted exclusively to the Traditional Latin Mass. This, however, is not the case. In fact, I just gave the parish a call and was informed that Our Lady of the Mountains does not celebrate the pre-concilar Mass at all, not even for the deceased! Rather, this is a Novus Ordo parish of the Archdiocese of Atlanta with a pastor who, all indications are, may very well be drawing dangerously close to a glorious, albeit uncomfortable, awakening. It appears to me that he is but a whisker away from coming face-to-face with a truly terrible truth; namely, the Novus Ordo Missae (specifically as it concerns the present discussion) formally known as the Mass of Christian Burial contains in its official texts precisely the protestant heresies he decries. The implications of this truth are quite profound. First, this means that it cannot be said that this Mass – valid though it may be – was given to the faithful by “the Church,” in spite of its ‘official’ standing as an approved rite. Simply put, a Holy Mother does not dispense poison to her children, and the Novus Ordo “Mass of Christian Burial” contains precisely that. How then did we get this abomination of a Mass? Sinful men (e.g., the likes of Annibale Bugnini, Pope Paul the Pathetic, and those who succeeded him) abused their authority and their duty before God. It only stands to reason, therefore, that this Mass, thanks to the heresies it contains, is without any question whatsoever an offense against Almighty God. But, some will cry, the Mass is valid. This means that the Most Holy Eucharist is truly there! It has been celebrated by numerous popes! It cannot be offensive to God! Oh, poor fools… These things serve not to remove the offense, but only to heighten it! Before I get to what I believe is the most important implication that follows from all that has been said thus far, I offer the following citations from the Roman Missal for the Novus Ordo “Mass of Christian Burial” (taken from a post I had written over two years ago) that demonstrate very clearly that it is a protestantized, heresy ridden, abomination. So, can we really be assured that we will one day “joyfully greet” our deceased loved ones once again? Of course not. Maybe we will, but then again, maybe we won’t. Again, there is a false confidence being expressed in the suggestion that God’s mercy is such that everyone, without distinction, can be assured of one day being “gathered together in the joy of His kingdom.” As such, the consolation being encouraged is also false. So, what exactly is the most profound implication that one should draw from all of this? It is a bitter pill to swallow indeed, but the simple fact that a rite such as the Novus Ordo Missae – and not just for the Mass of Christian Burial – is widely accepted as having been “officially” promulgated, is valid, and has been celebrated even by popes, does not mean that it is not also an offensive against Almighty God that one should avoid at all costs. I cannot help but wonder if the pastor of Our Lady of the Mountains in Jasper, GA has perhaps begun a journey that will lead him to the the same unavoidable conclusion, and therefore to a singular devotion to the Traditional Latin Mass. In any case, please offer a heartfelt prayer for that intention this very moment. Dear Louie, as a priest who is making that journey away from the Novus Ordo I think the subject of your latest post gets right to the heart of the matter. 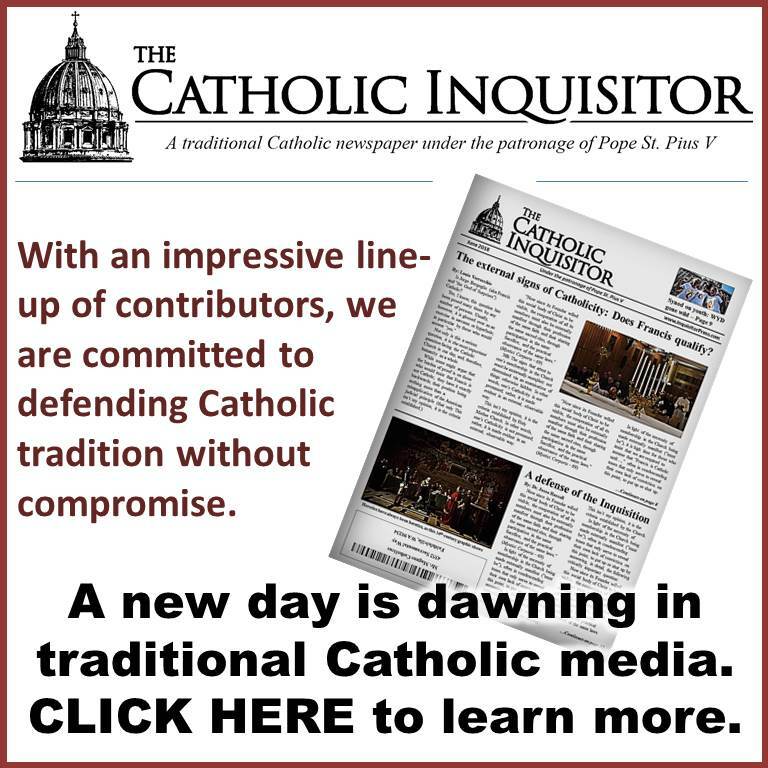 Sooner or later any priest or faithful Catholic who wakens to the the fundamental problems inherent in the Novus Ordo liturgy is confronted with this critical question you raised and the truthful answer is a bitter pill indeed. I consider that there can be no true restoration of the Church or any authentic evangelisation until the errors and ambiguities of Vatican II are formally addressed and the devastation of the ancient liturgy remedied. Alas, after the dreadful Synod and anticipating another destructive Papal document in its wake giving at least tacit permission for those in a state of grave sin to receive holy communion I think that things are just going to get worse. 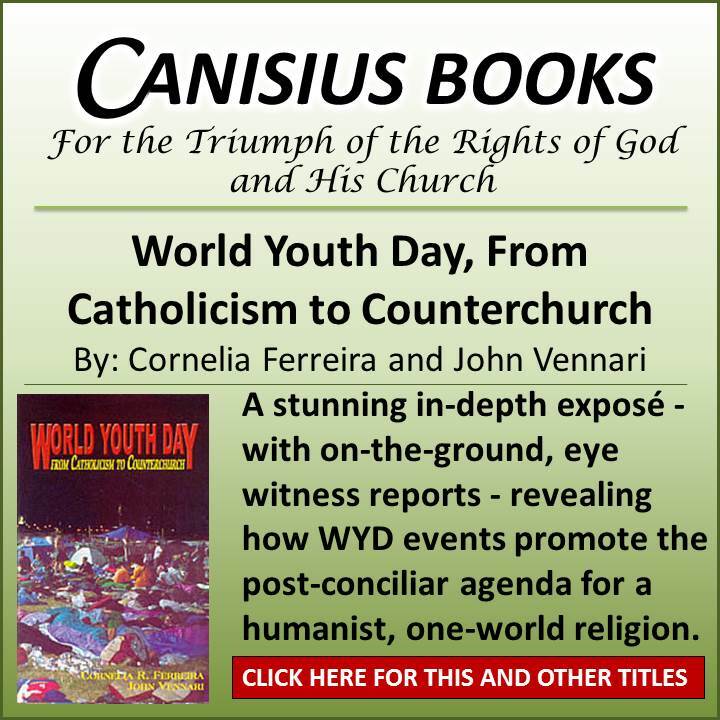 I believe the days are fast approaching when any authentic orthodox priest in your average Novu Ordo parish will be unable to function, because he will not be able to preach the Catholic Faith without provoking the wrath of parishioners already sold on the New Church who will have the backing and support of the bishop. In other words he will not be wanted, for the ‘New’ Church with its deformed liturgy and ‘new’ morality is ascendant in Novus Ordo land. The only road to recovery for such priests is to rediscover the Catholic Tradition but they must be prepared to pay the price. God bless you Father, and Godspeed to the Immemorial Mass of All Ages. Amen. And thank you, Father for your witness to and teaching of and sanctifying in the True Faith – and in the Dublin Diocese while you were there. I am sorry for your ill treatment – but that is what all true dutiful priests receive in this most corrupt of times. This Past Monday Evening at the 6PM Tridentine Latin Mass at Holy Innocents in Midtown Manhattan, we had a Missa Pro Defunctis for All Souls Day. We Are Reminded of the Four Last Things & the Fear Of The Lord. The Priest, Deacon(Known as a Latin Mass Priest) and a Subdeacon(Vested as Such), followed The Rubrics. There was a Catervault at the Centre Aisle, close to the Sanctuary Entrance. All were vested in Black Vestments. The Tridentine Latin Mass so speaks of Catholicity. The Novus Ordo Mass Does NOT. ARE WE ALLOWED TO HOPE? Take courage, therefore, O holy- minded mother, maintaining firm an enduring HOPE in God. for their HOPE is in him who saves them. Hope is never proscribed if we do not place it against Faith. We cannot know the hour of death of anyone – only God, with the Blessed Virgin, hopefully, inteceding by our prayers – knows. I don’t given anyone I’ve known up to hell as unworthy of prayers or Masses. I recently had the opportunity to listen to the “Dies Irae” of days gone by. After hearing it so many times in the past, I recognized even more the depth of its construction and content. I did not know anyone still had black vestments. I believe that one day a new Rite will be born in the Church known as the Tridentine Catholic Rite, or the Roman Catholic Rite, or the Catholic Rite of Pius V. One day, as Pope Benedict recognized the need, the society of St. Pius X will be recognized in all its fullness, and those who wish to join that Rite of the Catholic Church, bishops and all, will be given the Vatican’s blessing. 1. In your will (last will and testament) specify that you request a Traditional Latin Requiem funeral according to the Missale Romanum of 1962 (or before). Optionally specify the Order / Fraternity / priest that should provide the funeral. 2. Make sure your executor and next-of-kin know of this. 3. Carry a card in your wallet / handbag / purse stating that you are a Traditional Catholic, and stating that you wish to receive the traditional Sacraments (1962 or before). Louie, I hope you’ve sent the PP in Jasper, GA a link to this article! Also, have you written on the conventional wisdom that a valid Eucharist makes the Novus Ordo perfectly acceptable, even efficacious (and that this is proved because numerous Pops have celebrated it…etc., etc. ad nauseam)? If so, could you post that link? There were two articles, on August 24 and 26. Louie, you have again hit the nail on the head. The Novus Ordo is odious to Almighty God, plain and simple. 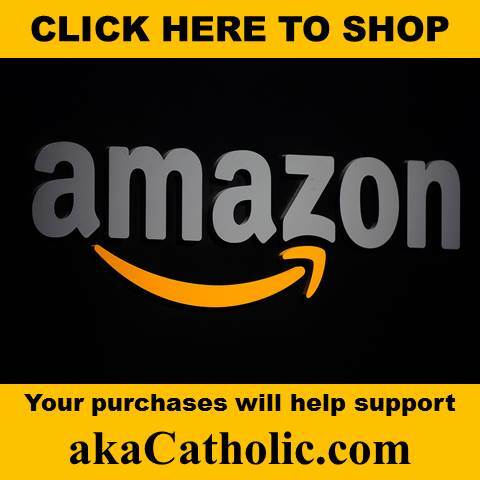 It smacks of Protestantism and the odor of heresy , has driven away millions of Catholics from the faith and breeds a new Catholic who knows nothing about the faith except that one should be nice. It should be avoided as one would avoid a pit viper. Keep up the great work, Louie. How did I come to abandon the NO? Providentially, I had to have surgery with an extended recovery time. That was when I wrote my letter of resignation to the pastor and never looked back. God is good, though, and I had the privilege of playing for and directing a Latin Mass choir for a few years until the Franciscans, to whom the Bishop had given the parish, kicked us out. 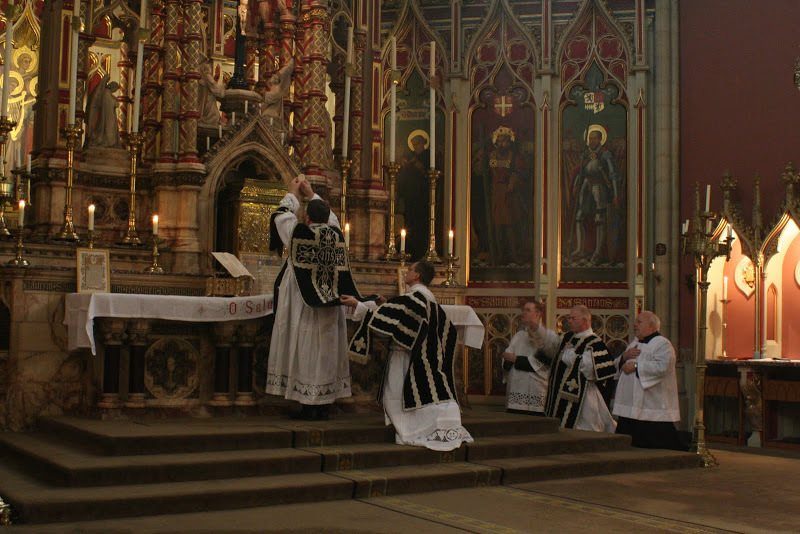 On Monday evening we had a Requiem High Mass with the blessing at the catafalque at our Latin Mass parish. The choir sang Vittoria’s “Mass for Four Voices”. It was magnificent and I prayed that many souls would be released from purgatory that evening. May Our Lady, destroyer of heresies and heretics, protect us all. Back two decades ago when I could tolerate the NO, I often would go to daily Mass at noon at a parish near my work. Maybe half the time it was a funeral Mass. At every one, a relative or friend gave a eulogy saying the deceased was “in heaven.” Never a mention of hell. Never a warning to the faithful to repent of their sins. This cannot last. Lex Orandi, Lex Credendi. “valid though it may be”. General question: Is Catholicity required for validity? PS. Most Protestant funerals I have had to attend generally condemn the dead or the mourners to hell (they have not the mercy of Purgatory (which is utterly scriptural) or limbo (a revealed if not dogmatically definied Christly mercy taught through His bride but poo-pooh with great grand poohbahness by Ratzinger)). But I haven’t been to one in may decades so maybe they’ve softened. A slow grand age, and rich with all increase. Louie, these passages are laden with Vatican II double-speak and doctrinal confusion in regards not only to the theological virtue of Hope but to that of Faith as well. Firstly, I think the term “the assurances of faith” was borrowed loosely, but directly, from Hebrews 11:1, where St. Paul in defining faith states, “Now faith is the assurance of things hoped for, the conviction of things not seen.” Under this definition of faith, there is not the “assurance of faith”, but faith is “the assurance of things hoped for.” Here is a confusion in the relationship between Hope and Faith, and an inversion of them in the use of the term “faith” in the liturgy. 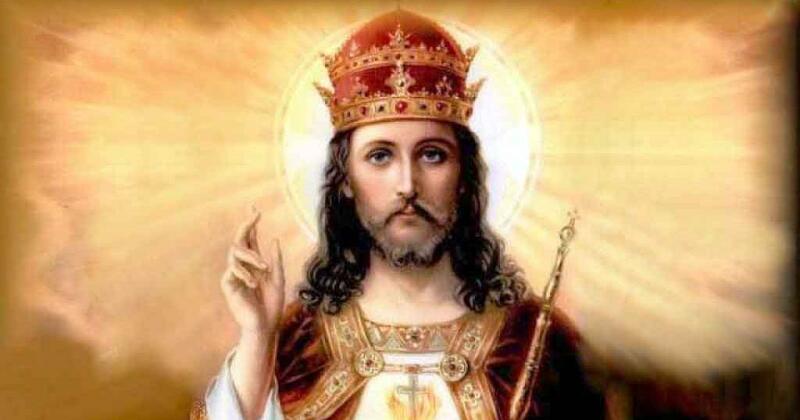 Furthermore, regarding the term “faith of Jesus Christ.” The Catholic Faith teaches us that of the three theological virtues of Faith, Hope and Charity, the last one is the greatest since Charity will continue after the general resurrection, whereas in the blessed presence of God in Heaven there will no longer be any need for Faith and Hope. Therefore how can the resurrected Jesus Christ have the virtue of Faith if he is sitting now and evermore at the right hand of God? Here again is Vatican II ‘double speak’, by the term “faith of Jesus Christ”. I submit that we have faith “in” Jesus Christ, but we don’t have the faith “of” Jesus Christ, since the resurrected Christ no longer has Faith since He is God and sits at the right hand of God. One could say there is a “faith of Jesus Christ” only if Jesus Christ were only man and not God, if he had not been resurrected, and if he were not sitting at the right hand of the Father. If you desire to be alone, go to a Catholic cemetery during Nov 3 – Nov 8. Other than the Sextons and the maintenance crew doing their duties, there is nobody else there trying to a gain a Plenary Indulgence to apply to their departed loved ones and that is owing to the very facts developed by Mr. V. in this quality post. Yes, and the message is that all dogs and all men go to Heaven and so why would anyone betake themselves to a cemetery to try and gain a plenary indulgence to apply to their loved ones suffering unto Sanctification in Purgatory? The Lil’ Licit Liturgy has served as a tool to sever the connection formerly, and formally, existing as the Communion of Saints.